Jim and Jean, Jim Glover and Jean Ray, were a folk music duo who performed and recorded music from the early 1960s to the late 1960s. They were married for a time, and were listed as Jim and Jean Glover in the liner notes of their albums, but eventually went their separate ways. Jim and Jean's first appearance on record, Jack Linkletter Presents a Folk Festival, was a live 1963 compilation album released on GNP Crescendo that featured a number of folk acts. In 1965, Jim and Jean released their first full length album, a self-titled release, on the Philips label. Jim and Jean's first appearance on record, Jack Linkletter Presents a Folk Festival, was a live 1963 compilation album released on GNP Crescendo that featured a number of folk acts. In 1965, Jim and Jean released their first full length album, a self-titled release, on the Philips label. This album contains songs written by Tom Paxton ("Ramblin' Boy" and "Hold On To Me, Babe"), Phil Ochs ("There But For Fortune"), Buffy Sainte-Marie ("Welcome, Welcome Emigrante"), Lead Belly ("Alabama Bound" and "Relax Your Mind"), as well as traditional songs. Alice Skinner Ochs wrote the original liner notes printed on the back of the album. In 1966, Jim and Jean's second album, Changes, was released on the Verve Folkways record label. The title track was written by their friend Phil Ochs, and the album also contains two other Ochs' songs ("Flower Lady" and "Crucifixion"). Phil wrote the original liner notes printed on the back of the album too. This album also contains songs written by Eric Andersen, David Blue, Bob Dylan, and Jim and Jean. The sound on their first album is more folksy, whereas their second album contains more session musicians, instrumentation, and even some folk rock experimentation. They even recorded with some musicians who had worked on Bob Dylan's first electric sessions. Their song "One Sure Thing" would later be covered by Fairport Convention. 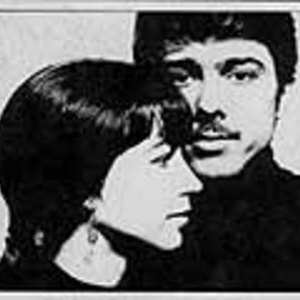 Jim and Jean's third and final album, People World, was released on Verve Forecast in 1968, and is their furthest departure from their original sound and style. At times, this album delves into some flower power themes and even slight psychedelia. The album also contains more of their own, original material than their previous albums. The title track, "People World", reached number 94 on the pop singles charts in 1968. Also, two Phil Ochs' songs appear on this album: "Cross My Heart" and "Ringing Of Revolution". This was Jim and Jean's last album as a duo. During the years they recorded together, Jim and Jean played in folk music clubs such as the Ash Grove in West Hollywood and the Ice House in Glendale, California. They sometimes opened for Canadian folk rock band 3's a Crowd. In one performance at the Ash Grove, rather than playing as a duo they were accompanied by a pianist and by legendary bassist Harvey Brooks, who had played with Bob Dylan. Eventually, Jim and Jean split up and went their separate ways. Jim recorded some small budget albums on his own (No Need To Explain in 1980 and Outsider in 2003), and Jean went on to perform in some small budget plays. They both reunited to play one show together at the People's Voice Cafe in New York City on March 18, 2006.